Spinning her flag on the floor, Madison Joyce, a freshman at North Carolina State University, continues to show her devotion to color guard and music after graduating North Penn in 2018. During her time at North Penn High School, Joyce was a member of the Marching Knights and Visual Ensemble (indoor color guard) for four years and was guard captain throughout her senior year. She also sang for the Women’s Choir and Chamber Singers and served as an officer. But it didn’t stop there. With a passion for music, she was a part of the wind ensemble and took cello and piano lessons. In addition, she trained in kempo karate and was active in her church. Now, Joyce is committed to studying Animal Science with a Veterinary Bioscience concentration and hopes to minor in Zoology and Art & Design. 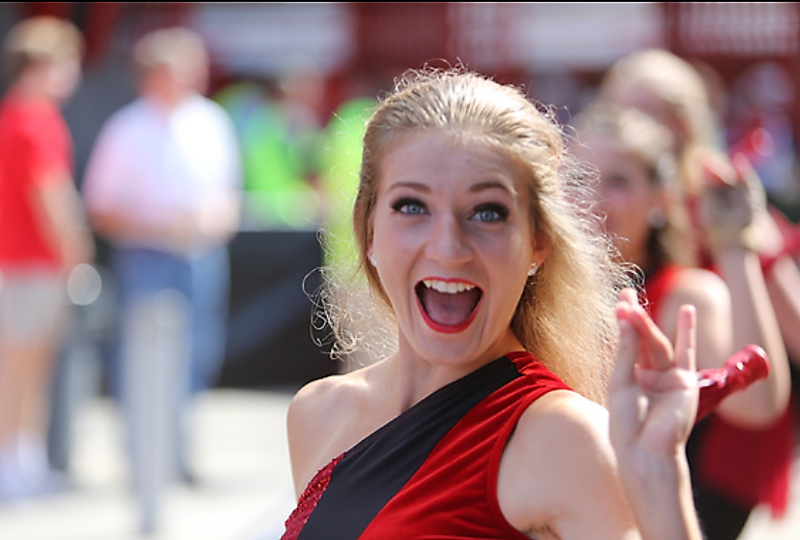 She continues to be a part of NCSU’s marching band, Power sound of the South, and spins for their indoor color guard. Joyce is also a member of the Animal Science Club and CRU (campus ministry). As for her future, she plans to go to grad school and earn her DVM (Doctorate of Veterinary Medicine) and PhD with her main focus in exotic animals. She wants to travel the world for her job, particularly in Antarctica and Australia. “There are a lot of things I miss about North Penn. I made the best of high school and loved it. I particularly miss F-Pod (Shoutout to Mr. Klenk and Mr. Heller!) and the Wawa runs. I think I ended up spending more time there with my NP music family than I did at my actual house.